Natasha Himes comforts her son Knoxley as he recovers from surgery. There was nothing unusual about Natasha Himes’s seventh pregnancy or delivery. Like her previous six, both were easy and uncomplicated. While all of her other children were born in a hospital, the Ephrata woman wanted to have this baby at home. Dec. 19, 2018, started out as any ordinary day. Himes’ children, ranging in age from 2 to 13, completed their homeschool lessons, and the midwife visited. The baby wasn’t due until Christmas, but he had other plans. 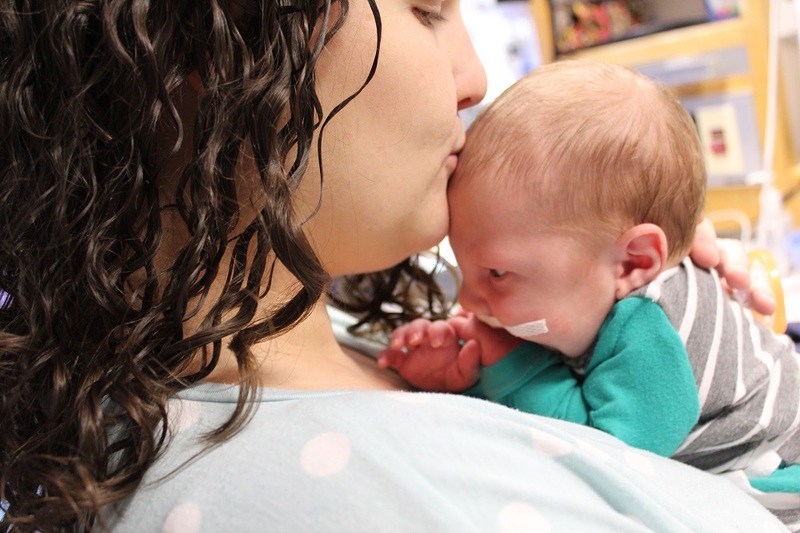 When the midwife saw Knoxley had a cleft palate, he was transferred to the neonatal intensive care unit at WellSpan Ephrata Community Hospital where he was diagnosed with Pierre Robin syndrome. According to the National Institutes of Health, the rare condition occurs in about 1 per 8,500 births. Children born with this condition have a smaller-than-normal lower jaw and a larger-than-normal tongue for the size of the jaw. The tongue falls back in the throat and obstructs the airway, making it difficult for the child to breathe. In many cases, the child also has a cleft palate, like Knoxley. Five days after being admitted to the Ephrata hospital, Knoxley was transferred to Penn State Children’s Hospital. 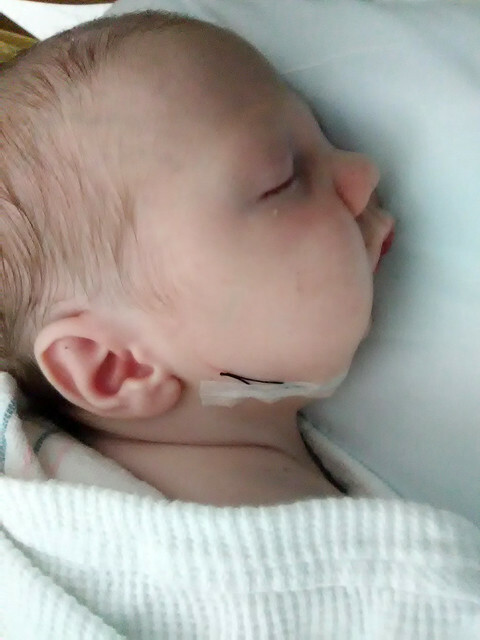 Doctors performed various tests, including a sleep study that determined Knoxley wasn’t getting enough oxygen while sleeping. They also did a bronchoscopy, which involved inserting a tiny fiber-optic camera into his airway to make sure there was no obstruction below his tongue. A tongue-lip adhesion followed. Dr. Thomas Samson, a plastic surgeon at Penn State Health Milton S. Hershey Medical Center, sutured the undersurface of the tip of Knoxley’s tongue to the inside of his lower lip to hold it in a more forward position. Samson also anchored the back of Knoxley’s tongue to his jawbone to pull the tongue up out of the airway. See the full article on Penn State Medicine.